“All this is from God, who reconciled us to Himself through Christ and gave us the ministry of reconciliation… He has committed to us the message of reconciliation” (2 Corinthians 5:18-19). I have been thinking a lot about the results of the General Conference. As I have read articles, watched videos, and ignored multiple mean-spirited posts about the future of the UMC, one recurring theme surfaced in my mind – How do we embrace our differences while exercising a ministry of reconciliation? “How do we help people stay or depart without burning the relational bridge?” As we approach Easter how do we in the 21st Century communicate that God died and rose from the grave for ALL people? How many times has the relational bridge between God and humanity been broken and burnt? Too many to count. Yet, even today amid all the craziness and wickedness of humanity a bridge still exists? How? It indeed is not because we have exited from God gracefully. It is because God continually rebuilds the bridge that we keep burning. God allows us to act upon our opinions, ideas, and plans, while remaining steadfast with His conviction – love will win, the light will overcome the darkness. What do we do when people become disgruntled with our church? How do we respond when someone says, “I am tired of the decisions the church is making, I am going to take my toys and go somewhere else?” I am pretty sure many of you do NOT have the same response I have, “Don’t let the door hit you where the Good Lord split ya!” Not much of a ministry of reconciliation! BTW that isn’t really my reaction – why else would I be writing this article? Truthfully, I am serious about the calling to be a pastor of reconciliation. The ministry of reconciliation is about bringing together two or more parties that were once friendly with each other. We increase the success rate of our ministry of bringing together parties that once were friendly with each other by creating the environment of a grace-filled exit. 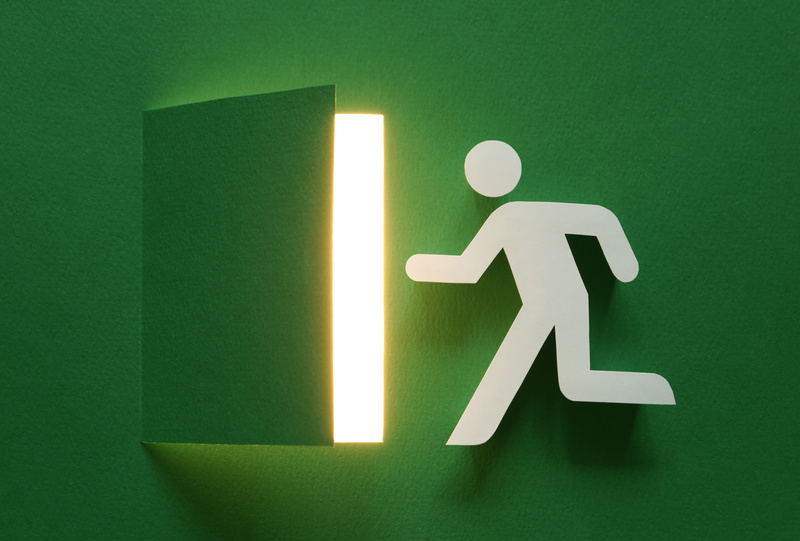 How do we go about creating the environment for a grace-filled exit? Suppose a person disagrees with the church’s interpretation of scripture. How about we avoid being offended when a seeking person goes to another church for another explanation? Imagine your doctor having a negative and offended reaction when you say, “I would like to get a second opinion” after the doctor gave you the prognosis of terminal cancer. My hunch is you would be looking for a new doctor and not just a second opinion. It is ironic that the Church, who is meant to be dispensers of grace, love, and forgiveness, by practicing a non-anxious presence is struggling to extend those qualities to its membership. Perhaps, the problem lies in our inability to practice having a non-anxious presence? I would suggest that the catalyst for developing a non-anxious presence is found in Jesus’ example of washing the feet of His disciples. Jesus demonstrates for us that humility combined with acts of service lead to a recipient being more open to listening because he or she knows that he or she is loved. Perhaps our churches are filled with anxious people today and thus are overly reactive to many things because we have not practiced having a non-anxious presence. You see when you have a non-anxious presence then you are not so much concerned about being right as you are concerned about making sure that the person knows that they are loved no matter the outcome. As I prepare my heart and mind for this Easter, in the context of knowing that the church I love and have served since 1990, is struggling with how to move forward, I will remember Jesus’ words from the cross, “Father forgive them, for they know not what they do.” The THEM Jesus referred to is not the people who disagree with me, or that I disagree with. The THEM is me as I consider the number of times I have shown up with an anxious presence, or have shown-up with a determined objective to prove my point is more legitimate and right than someone else’s. I will think about my heart and my thoughts, and I will thank God, that the tomb is empty, that the light continues to shine in the dark spaces of my life, proving to me that there is hope because there is forgiveness. And because God offers to me the path to a grace-filled exit I choose each day to remain and not exit because I know I am loved and cherished. I hope you will join with me in making sure that we offer grace-filled exit plans for people here at First United Methodist Church of Fort Pierce.